Chicago activists see the next mayor’s election as a chance to mobilize their supporters. 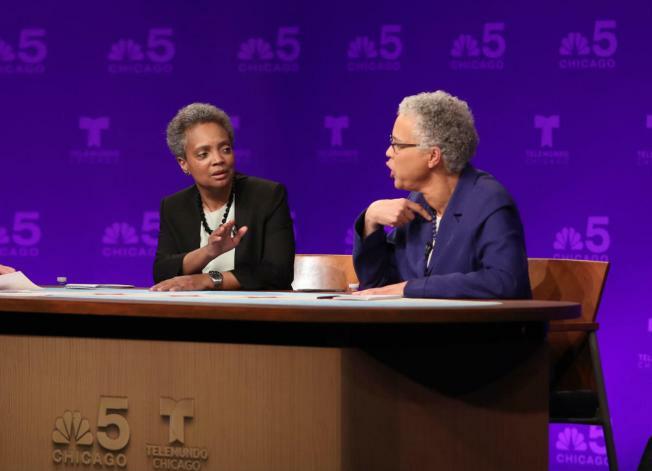 Although Chance the Rapper endorsed Toni Preckwinkle, others led by Jamal Green announced support for Lori Lightfoot. In recent days, several black teens disrupted a Lightfoot event, and a yelling back and forth ensued between Lightfoot and the teens. They were critical of her role on the Police Board and especially the handling of the Rekia Boyd murder case. Lightfoot responded to their interruption saying “they were spreading false lies." Lightfoot added "if the facts matter to you, I hope you get the facts." She added "people accuse me of being a murderer I'm deeply offended by that." And "if you people actually want to do good, you have to start with listening." Jamal Green, once a candidate who withdrew before the first round voting sees LIghtfoot in the Mayor’s Office and Preckwinkle at the County Board as a win-win and "in the end, I think when Mayor Lightfoot takes the post, we will be able to work with her, to try to get a lot of the necessary reforms made."